More and more people are willing to install home-sensing lights at home. On the one hand, it brings convenience to life, on the other hand, it is also a kind of performance of energy-saving. What are the characteristics of family-sensing lights? Let's make a popular introduction today, let everyone know more about the role of this kind of lamp. First, energy saving, for a family, such as balcony, storage room, utility room, etc. are good places to install home-sensing lights, and there are also toilets can be installed, why are these places installed with induction lamps? A good place? As you can imagine, the balcony is not a place to go, and when people leave the balcony, they forget to turn off the lights many times. This is a waste of resources. After installing the home sensor lights, people turn on the lights. When people turn off the lights, the delay is usually about one minute. This design is undoubtedly very energy-saving. Second, it is convenient. 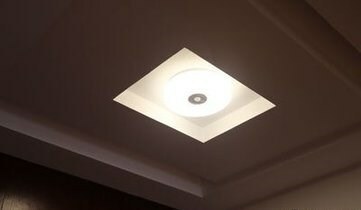 After installing the home sensor light in the utility room, when we find something out from it, if it is a general light, it is very troublesome to keep the hands off when you want to turn off the lights. At this time, you don’t have to worry about turning off the lights. The problem is that when you leave the light for a while, it will be destroyed, bringing great convenience to life. Third, beautiful, nowadays, there are many styles of home induction lamps, some of which are very fashionable. Installing them on the balcony will undoubtedly have a good decorative effect, so it is very necessary to choose a beautiful home induction lamp. of. Knowing that home-sensing lights have so many advantages, it is a good idea to try them in your own home. If you have good things, you should use them. Don't have ideas to implement them.